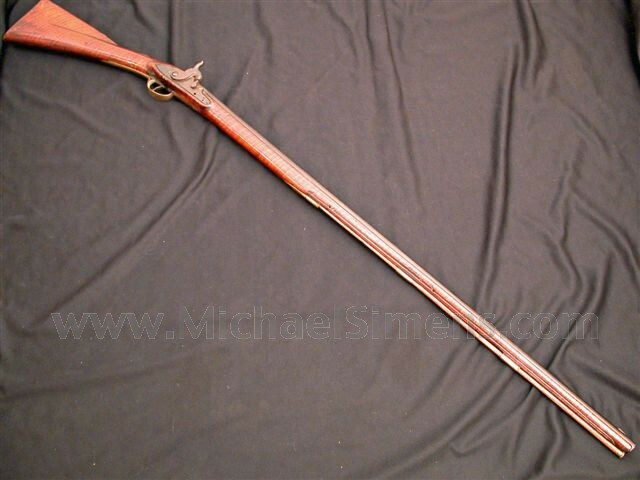 This is a great little musket, possibly by one of the "Hills Brothers". No, not the guys who made coffee, but the premier family of gunmakers in Connecticut during the 18th century. 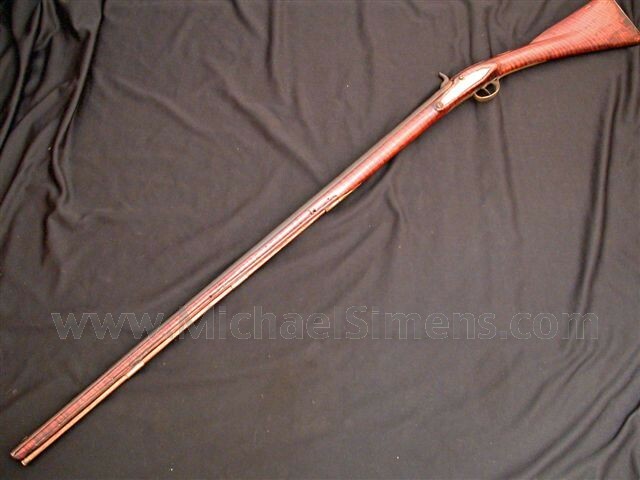 John and Medad Hills were sons of Benoni Hills, and all 3 are now very well known for producing some of the finest muskets both before and during the Revolutionary War. All 3 served as officers in Militia units during that time. Many of their products are signed and dated and a slight few are adorned with patriotic motifs such as "LIBERTY OR DEATH". Such examples are extremely rare, of the most desirable arms of that period and quite valuable even in poor condition. 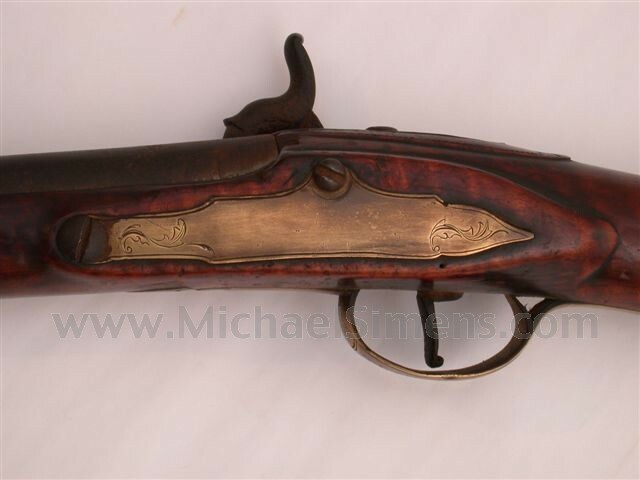 This example is an outstanding little gun that shows earmarks of a John Hills gun in terms of its architecture, style of carving to the barrel tang and engraving on its brass mounts. 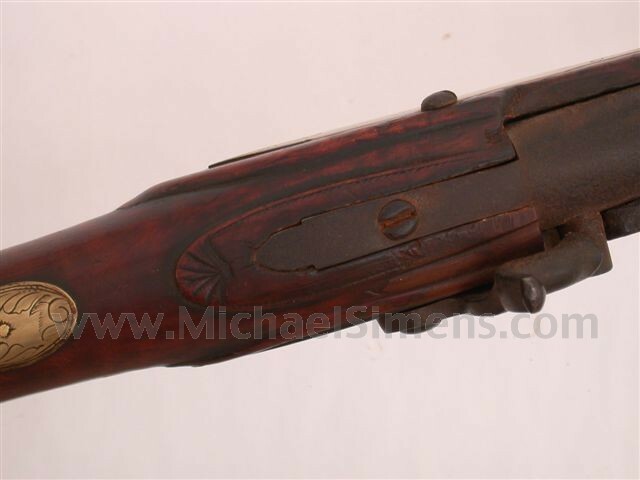 If it's not a Hills gun, it certainly appears to be from one of the similar Massachusetts makers of the period. It is in extremely fine condition and a conversion back to flintlock by a good smith will resurrect this fine gun to its proper status.